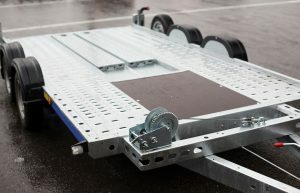 Is your trailer everything it can be? Your trailer may not be cutting it, and that’s the last thing you want in the middle of a tow. 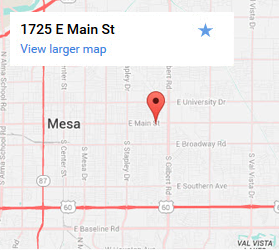 We have one of the biggest selections of trailer accessories in Mesa, AZ. Not only that, we take the guesswork out. At Straight Line Suspension we can install any of our accessories on-site in no time. Guaranteed installation gives you the confidence you need for the long haul, so what are you waiting for? We've got everything you need for safe, confident travels. With our massive selection, you're guaranteed to find the right accessory. We carry accessories from every major manufacturer. Whether you need to increase capacity, safety, or stopping power—you’re covered. Choose the accessory that’s right for you. We’ve got your trailer type covered. Don’t hit the road with a trailer you can’t rely on. Our parts and accessories increase safety, performance, and what’s possible with a trailer. Before your next trip, stop on in. We’re always offering great deals on the accessories you want most, and repairs and installation are performed on-site by our technicians. Call or contact us today.